There's a zillion posts and articles about how to escape single quotes in T-SQL, but what I wanted to do was strip out the characters that were inside the single quotes. After a ridiculous amount of Googling turned up nothing, I spent an even more ridiculous amount of time figuring it out. --      The cow says . --      The duck says . --      The clock says . -- and the characters *between* them. The really important thing I learned from this is that (a) when people say T-SQL was not intended for string manipulation, they're not kidding, and (b) the way to do anything remotely fancy with strings is one tiny step at a time. As an old C/C++/C# developer, I underestimated the difficulty of this problem: playing with strings ceased to be interesting as soon as CString came out. I finally got it through my head that the only hope of implementing this in an intelligible way was to start from the inside, and work my way out. That's where the intermediate variables PosBeg, PosEnd, and Length came from - they were the baby steps I took along the way. I haven't programmed using intermediate variables in a long, long time. I don't write C# like that, and I sure don't write other T-SQL that way, but string manipulation in T-SQL drove me back to it. I wonder if it's T-SQL's lack of powerful string operators, or just the familiarity of old habits, that are to blame? If you're like me, it's a lot easier to understand things with a picture. With that in mind, here's a script you can run as a Job which will print out a visual representation of the Jobs that ran in the last 24 hours. The results are emailed to whatever address you provide (near the end of the script). -- last 24 hours. Useful for visualizing overlap. -- output to be, in characters. -- Create the temp table that will hold all the Job History data. WHERE jh.step_id = 0                               -- "Job is completed" step. -- sysjobhistory. Use this info to only look at last 24 hours. -- Calculate each job run's start and stop points on the chart. -- Iterate through the job runs, creating a line for each one. -- Add top and bottom borders, and the date range, to the chart. -- "PRINT" truncates NVARCHAR(MAX) variables at 8000 bytes. So we do this. DECLARE @CurrentEnd  BIGINT             -- Track the length of the next substring. DECLARE @offset      TINYINT            -- Tracks the amount of offset needed. -- Send me an email. -- Check the results of trying to send the mail. Here's some example results. (This data is entirely made up - I don't really rebuild indexes that often.) Primitive to be sure, but still makes it easy to spot five jobs running at the same time! A quick script to list out which users have how many connections with which databases. -- Display users' connections per database. 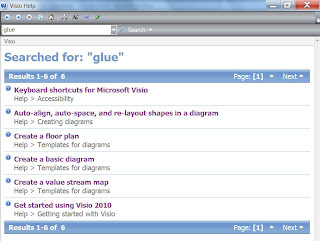 Lost the "Database Tab" in Visio 2010? I've been using Visio since before Microsoft bought them, and I love Visio 2010, but the Microsoft Office help is worthless! Every dialog has a "context-sensitive" help button with a little question mark on it, but - psyche! 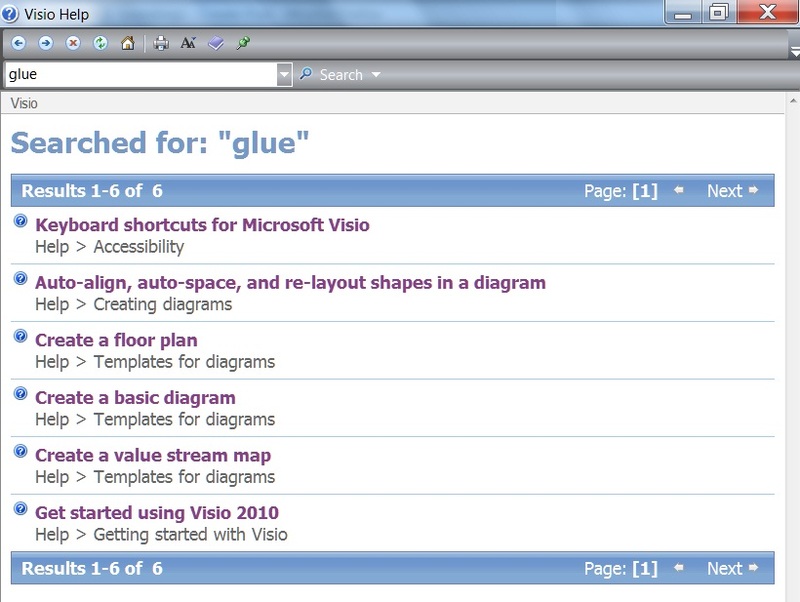 - it always opens to the main Visio help page. Can you guess which of the six results actually explains what "gluing" is? If you said "Number 4", you cheated and looked. Hopefully this will help someone else out. -- Drop any existing function. -- Create function to take any integer input and return hex as a string. This script erases everything in the master database that is not Microsoft-shipped. Be careful: some user objects belong in the master database (database triggers, security objects, for example). Backing up the master database first would be a prudent step. -- Drops all user objects that have been accidentally created in the master database. A script and batch file that practically anyone can run, no matter how non-technical. The batch file prompts you for backup path, server, and instance, and then calls the SQL script. : Prompts user for info and calls the SQL script to do the backup. : Copyright 2010  Larry Leonard, Definitive Solutions Inc.
: Display free disk space. set /p   TargetServerAndInstance=Server and Instance  ("Enter" for default)? set /p   BackupFolder            =Backup Folder        ("Enter" for default)? if     "%BackupFolder%"           ==""  set BackupFolder="C:\TEMP"
: Call the backup SQL script. if not exist "@BackupFolder" mkdir "@BackupFolder"
The SQL script backs up all user databases and their logs, and the master and msdb system databases. -- Called by BackupAllDatabases.bat to backup all databases and their logs. -- The path set in @sBackupFolder must exist - this script will not create it. -- Copyright 2010  Larry Leonard, Definitive Solutions Inc.
-- this notice are preserved. This file is offered as-is, without any warranty. -- MUST be set as shown to support indexes on computed columns, indexed views. SET ANSI_NULLS ON                                 -- Deprecated: leave set ON. SET ANSI_PADDING ON                               -- Deprecated: leave set ON. SET ANSI_WARNINGS ON                              -- No trailing blanks saved. SET ARITHABORT ON                                 -- Math failure not ignored. SET CONCAT_NULL_YIELDS_NULL ON                    -- NULL plus string is NULL. SET NUMERIC_ROUNDABORT OFF                        -- Allows loss of precision. SET QUOTED_IDENTIFIER ON                          -- Allows reserved keywords. -- These are not, strictly speaking, required, but are generally good practice. SET NOCOUNT ON                                    -- Minimize network traffic. SET ROWCOUNT 0                                    -- Reset in case it got set. SET XACT_ABORT ON                                 -- Make transactions behave. -- These are the only variables which you are required to provide a value for. -- Create a file-system friendly date. -- Run the commands for each database. Pretty much anyone should be able to run this. This script is useful if you need to add a Primary Key / clustered index on a table, but cannot know if the table already has a clustered index on another column, or if the column you're trying to cluster already has a non-clustered index on it. 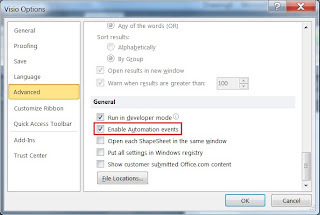 -- Note: In SSMS, press Ctrl-Shift-M to pop a dialog box for entering values. -- DROP INDEX on constraints. -- Now add the clustered index. See BOL for info on how to create and use templates. Cannot find database 'SALES' in system tables. This error message occured randomly every month or so, and with no cause-and-effect pattern that I could see. I couldn't reproduce it. It didn't fail when I ran it manually - but every time it happenned, it usually happened two or three times in a row. This gave me a series of tiny "windows of opportunity" in which to debug the problem. Now, the 'Sales' database was quite demonstrably there. Googling for the error message turned up one (unhelpful) hit. So, I started by dropping and re-creating the database. No joy. Next, I re-installed SQL Server. No joy. I re-imaged the machine, to re-install the operating system. I re-imaged the machine using a different operating system. I tried all of this again on a different machine. No joy. I was stymied. I had long ago removed all the T-SQL code from this script that wasn't absolutely necessary, so now I started to re-write the script, line by line, using different keywords, constant values, and variable names. (Yes, by now I was on a mission.) Finally, I discovered the cause: it only happened when the script contained the SYSNAME datatype: changing it to NVARCHAR(128) fixed it! Hurray! In databases that are case-sensitive, or that have a binary collation, sysname is recognized as a SQL Server system data type only if it appears in lowercase. So, that was the problem: I had used SYSNAME instead of sysname. Actually, the root cause was having collation specifiers spread all higgledy-piggledy on our databases, tables, and columns, sometime specified, sometimes not. Somewhere, one of them had a case-sensitive collation, and that's what caused the whole problem. Is SQL Server's 2005's Exception Handling an Improvement? At first, I was excited to read about the new TRY...CATCH exception handling in SQL Server 2005, but it feels like it has a serious flaw: only the last error message is returned in the Exception object! Foreign key 'FK_tblInvoice_tblCustomer' references invalid column 'CustomerIDDDDD' in referenced table 'dbo.tblCustomer'. "When an error is raised in a some special context, the first message has information about the error, while subsequent messages provides information about the context. This becomes an issue inside tsql try-catch. In the absence of any notion about error collection, the catch block is activated with one of the error messages. As Sql Server 2000 would have set @@error to the last error message, we decided to set error intrinsics (error_message(), etc.) to the last error message inside the catch block. In other words Sql Server 2005 would ignore all but the last error message inside [the] tsql try-catch... Backward compatibility prevents us from mergeing old error messages." SET XACT_ABORT OFF     -- This is the default. --SET XACT_ABORT ON    -- This is NOT the default. This is why XACT_ABORT is usally set to ON, instead the default ("OFF"). The "best practices" concept is truly a great thing, especially when applied to T-SQL code. But does your best practices process amount to (a) carefully writing down the things you know you should do, and then (b) not having time to do them? If so, my next few posts will describe an easy way to capture and re-use your T-SQL best practices, saving time, improving code, and reducing bugs. No, really. Templates are simply Notepad-editable text files that have an "sql" extension: "SQL scripts", in other words. What makes them special is that they contain zero or more parameters, and reside in certain "well-known" folders. So far, using Templates might look like more work than it's worth. And it might be, except... Microsoft has written a bunch of them for you! So How do I Use a Template? As you can see, there are several parameters in this Template; if there's a limit, I've never run into it. It's important to understand that the parameters describe simple text-replacement: they know nothing of T-SQL. This means they can be used to parameterize anything: database object names, text inside quotes, text in comments, portions of object names, fragments of T-SQL code, etc. Let's see how you use this Template to create a unique nonclustered index. First, open a new (or existing) SQL file. 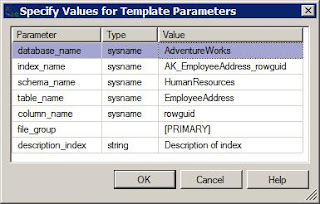 Now drag-and-drop the Create Unique Nonclustered Index Template from the Index folder to the desired location in the editor window; this pastes the Template's contents at the drop location. Each variable-name appears once, no matter how many times it's used in the Template's T-SQL code. Don't allow two parameters to have the same variable-name but different data-types, because it won't work: only the first parameter for a variable-name appears in the dialog. You can use the tab key to navigate, but it's faster to use the down arrow after entering each value. Drag-and-dropping copies the contents of the Template to the editor window. Double-clicking opens a new window, and copies the contents of the Template to the editor window. However, this is not how you edit a Template. To edit a Template, right-click on it, and select the "Edit" menu item. This is, for some reason, a modal dialog, so be sure to have whatever text you need available to you (on the clipboard, in an open text file, etc.) before popping it. Be sure not to use extra commas or angle brackets in a parameter, as this usually confuses the parser. The original, "factory-installed" copies can be found in C:\Program Files\Microsoft SQL Server\100\Tools\Binn\VSShell\Common7\IDE\SqlWorkbenchProjectItems\Sql for SQL Server 2008, or in C:\Program Files\Microsoft SQL Server\90\Tools\Binn\VSShell\Common7\IDE\SqlWorkbenchProjectItems\Sql for SQL Server 2005. The Templates in these folders cannot be changed via SSMS; they will always be preserved in their original state. The difficult thing to remember (for me, at least) is that what you're seeing in the "Template Explorer" window is your local files, not the original ones. So, edits to the these Templates will be saved to your local Template folder. 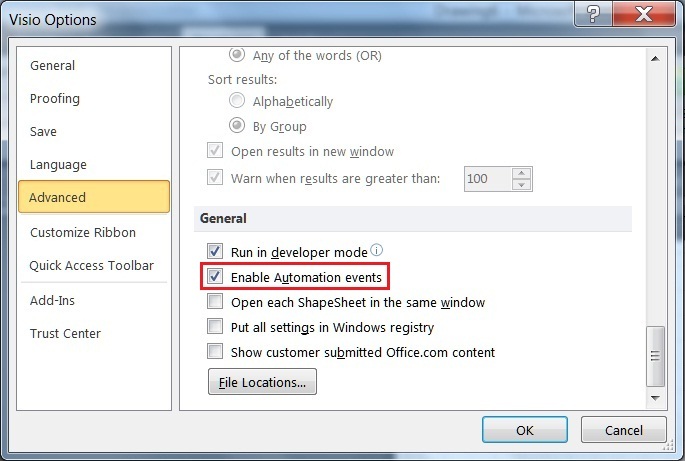 Every time it runs, SSMS makes sure that each user has a copy of some kind of all the Microsoft-authored Templates. It does this by comparing the files and folders in the original folder to each user-specific folder. If it finds any missing in the user-specific folder, it copies them from the original folder. The trick is that the comparison is on existence only: the actual contents of the files are not examined. This allows SSMS to install (and repair) from the original Templates, but also lets the use modify their local copies without SSMS overwriting them with original files at the next program run. Using SSMS Templates is less error prone than typing code by hand, faster than using the GUI, and makes it possible to add documentation while it's still fresh in your mind. The only thing better would be if you could create your own Templates. That will be the subject of a future post. The latest and greatest version of my IndexDemon.sql script (formerly, Index_Analysis.sql) is now available. It examines all the indexes in the current database and emits DML code to correct any problems it finds. It makes no changes to your database itself - you have to copy and paste the emitted SQL - seemed safer. Have you ever noticed that, regardless of where you work, there's always some kind of "standard header" for SQL scripts? Sometimes, it's a formal, documented set of T-SQL commands, with clear goals and a well thought out implementation. -- These aren't, strictly speaking, required, but are generally good practice. Let's divide this code into three sections and examine them one at a time. These three commands are "defensive" (read, "paranoid") programming; ideally, you'd never have to do things like this, but better safe than unemployed. I like to do these to prevent run-time errors; note that I'm raising error level 20, which severs the session's connection, because if these errors occurs, I want execution to stop now. The second critical error check is a simple SQL Server version check - to me there's nothing worse than downloading a cool script and having it crash because it requires version n + 1. The final check is just to be sure there's not a transaction left often. This is the line of code I often end up commenting out in production, but during development it's nice to have, as it prevents those annoying "deadlocks" in SSMS when you forget to close a transaction. So, these are what I use - did I miss a favorite of yours? BOL says that QUOTENAME() "[r]eturns a Unicode string with the delimiters added to make the input string a valid Microsoft SQL Server delimited identifier." So these two code snippets are pretty much interchangable, right? But QUOTENAME() would be pretty lame if all it did was slap brackets around a string, wouldn't it? Fortunately (or unfortunately, if you've got a lot of "bracket-slapping" code laying around) it does more: it "escapes" embedded bracket characters. For example, let's take the table name 'Sales YTD ', and try to create it. -- Demonstrate that QUOTENAME() is safer than bracket-slapping. -- Expected to fail: table name has spaces, brackets. -- Expected to fail: bracket-slapping doesn't handle brackets. Unclosed quotation mark after the character string 'Sales YTD  (x INT)'. Incorrect syntax near 'Sales YTD  (x INT)'. Moral of the story: always use QUOTENAME() - unless you enjoy bug hunts! Here's the first version of my Index_Analysis.sql script, which examines all the indexes in the current database and emits DML code to correct any problems it finds. This post has been moved to http://sqlsoundings.blogspot.com/2010/02/script-produces-dml-to-fix-index.html . My Reading Lists Have Moved!